Opening a successful bakery requires making an investment in high-quality baking equipment that will help you complete your food preparation, baking, and serving tasks. Whether you are selling traditional-quality artisan breads, beautifully decorated cakes, or tasty pastries for a quick snack or to-go dessert, having the right kitchen equipment will go a long way in increasing the productivity, efficiency, and bottom line of your bakery. Artisan breads, such as baguettes, ciabatta, and sourdough bread, are best made in deck ovens, which are designed primarily for them. 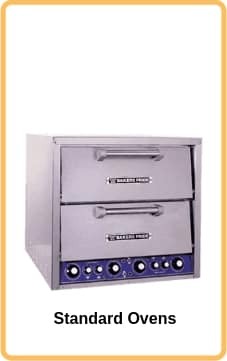 Deck ovens are so named because they have a deck that is usually made of stone or ceramic where the food items are placed. Most deck ovens can have multiple decks, allowing you to bake more items without taking up too much floor space. Deck ovens use two heating methods. The first is conductive heat, which is transferred directly from the deck to the dough. The second is radiant heat, which comes from the hot air in the baking chamber and penetrates the dough to cook it further. The heating elements in a deck oven are placed at the top and bottom of the cavity. Each element can be controlled separately to give you the advantage of setting different top and bottom temperatures so that the breads cook evenly. Deck ovens sometimes have a steam injection system that releases water vapor into the cooking chamber. This is what’s responsible for the perfectly crisp, brown bread crusts covering a soft and fluffy inside. 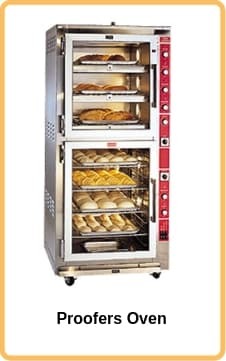 Bakeries producing high volumes of breads, bagels, and pastries use a rack oven, or a revolving oven, which bakes food by revolving them around a central shaft above a heating element typically situated at the bottom of the baking chamber. A rack oven has several shelves, around 8 to 12, that are typically made of metal or stone where you can load your items. These shelves are connected to a central horizontal shaft. An external motor spins the shaft, which, in turn, moves the shelves around, like a Ferris wheel. The revolving motion of the shelves creates uniform baking. Rack ovens have very high outputs but do require plenty of floor space in your kitchen. Since the first mechanical oven was invented in the 19th century, rack ovens have evolved to incorporate modern features that enhance the baking process, such as self-generating steam systems and adjustable heating elements. Some models even have convection systems that circulate pre-heated air into the cavity to further create even baking. 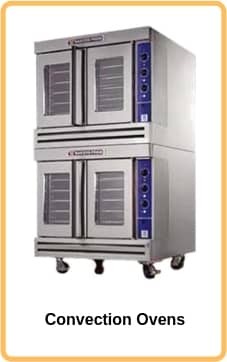 When you need to bake high volumes of the same baked good in the least amount of time and without the supervision of a trained chef, you need conveyor ovens in your bakery. Conveyor ovens cook baked goods that are placed on conveyor belts, which move them through the baking chamber. The oven then creates jets of hot air of similar intensity and blows this air to the food. The force of the heated air allows it to easily break the barrier of cold air around the uncooked food, thus leading to faster cooking. And because the speed of the belt remains constant throughout the baking process, all items come out of the chamber similarly cooked as every other item. Conveyor ovens are extremely easy to use. They have programmable controls that take care of the time and speed settings for you. You only have to place the items at the opening of the conveyor belt and wait for them to come out at the other end. However, conveyor ovens cannot bake everything. The openings typically measure 3” to 5” in height, severely limiting the items you can bake to those not taller than the narrow opening. Cakes, breads, puff pastries, and other baked goods that need to rise or retain their moisture may also break down or dry out under the strong blasts of hot air. Convection ovens have fans that circulate pre-heated air around the baking chamber. This creates uniform heat distribution that eliminates cold or hot spots. Food comes out cooked evenly in a convection oven. The inclusion of hot air circulating around the cavity also speeds up the cooking time by as much as 30%. The rapid cooking times, however, can be a drawback if you’re baking items that need time to rise. If the outside of a cake is cooked faster than it is done rising, the cake could come up with a bumpy, uneven texture on the inside. Standard ovens are simple to use, operate, and maintain because they have the fewest moving parts. They are also the most affordable, making them attractive for small baking operations or restaurants that need to do some baking from time to time. These ovens use radiant heat created by a stationary heating element typically situated at the bottom of the baking chamber. The heat is then distributed throughout the cavity to cook cakes, cookies, breads, bagels, and a variety of pastries. Almost all commercial kitchens have at least one reach-in refrigerator. This is a practical and versatile piece of equipment that can store a variety of items that need to be kept at low temperatures. Bakeries need a refrigerator for keeping things such as eggs, fresh fruits, milk, butter, and other dairy products cool and fresh. Reach-in refrigerators are available in a range of sizes to suit every kitchen’s specific storage needs. The smallest units typically run 26” wide with a single door opening up to a single section while the largest models can span 87” in width with up to three sections and three doors. All of them have similar depths that allow you to reach in at arm’s length for easy access to the contents. 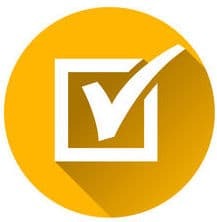 Reach-ins range from basic refrigerated boxes to advanced units with high-tech features, such as temperature monitoring sent to your phone or computer via the cloud and smart diagnostic systems that look out for potential problems and automatically issue solutions before system failure happens. While refrigerators can hold temperatures around 33° F to 41° F, freezers can go a lot lower to temperature ranges between -15° F to 0° F. This makes them suitable for storing finished baked goods that are prepared in advance and need to be kept frozen. Freezers are available in many configurations. 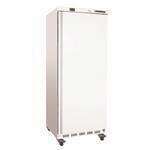 The most common type of freezer is the upright cabinet, which is very similar to how the reach-in refrigerator looks. 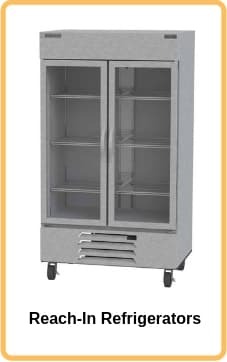 Upright freezers have multiple shelves that provide quick access to your frozen items. Smaller bakeries that want to optimize the available space they have can opt for undercounter freezers, which can fit under most counters or kitchen stands. Some undercounter freezers have sturdy tops that double as an extra worktop. 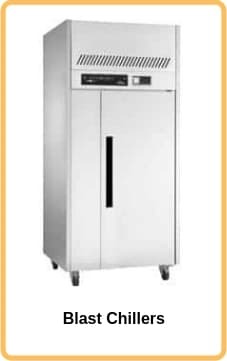 Other freezers are made of durable, insulated material so that they can serve as an equipment base for ovens and other cooking equipment. High-volume bakeries may invest in bigger units, such as roll-in and walk-in freezers for bulk storage for long periods of time. These models are large enough to let you roll in entire oven racks straight into the freezer. Worktop refrigerators are another way to make the most of the space you have if you have limited real estate in your bakery’s kitchen. 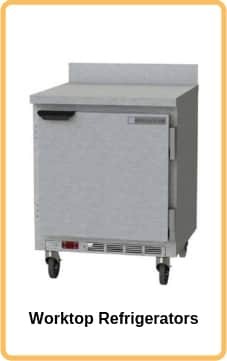 These are multi-functional units that have a refrigerated interior for storing ingredients and a sturdy worktop for preparing your food products. The refrigerated interior can be accessed through doors, drawers, or a combination of both. Doors open up to a single section fitted with shelves, where you can store jugs of milk, boxes of butter, egg cartons, and other tall containers that otherwise wouldn’t fit inside the drawers. The latter are configured to accommodate 6”-deep pans. 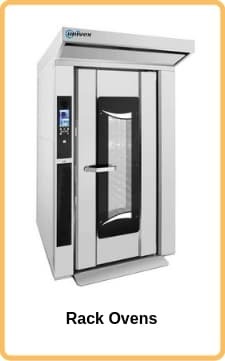 Blast chillers lower the temperature of baked items at extremely quick rates. They work much faster than freezers and can bring food temperatures from 135° F down to 41° F in a mere hour and a half. This allows you to cool down baked goods quickly before storing them in the refrigerator or freezer. Blast chillers usually have three chill cycles. The first is a soft chill designed for delicate products, such as chiffon and sponge cakes. 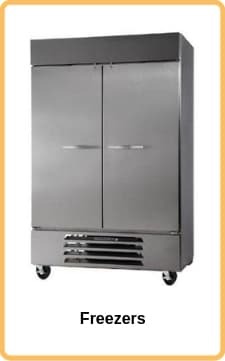 Hard chill is used for bringing down the temperature of high-volume food items using a cold blast of air sweeping through the interior at high speeds. This cycle is effective for freezing dense, heavy, and fatty items, such as large chunks of meat and vats of soups and stews. The third cycle is shock freeze, which blows cold air at temperatures of -40° F and below to freeze food items in less than four hours. Shock freeze is often used to stabilize the texture of ice creams, sorbets, and gelatos while preventing the formation of macro-crystals and air bubbles to keep a smooth, creamy consistency. Commercial mixers are a must-have for bakeries. 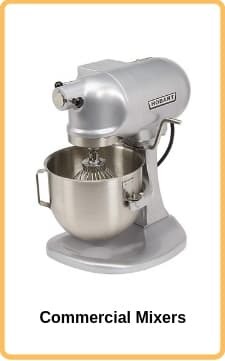 You will need at least one heavy-duty planetary mixer to prepare a multitude of food items, from glossy icings and fluffy frostings to cake batters, cookie doughs, and bread doughs. Planetary mixers have a shaft to which an agitator is attached. The agitator rotates around a fixed mixing bowl, similar to how the planets rotate around the sun, giving this piece of equipment its name. 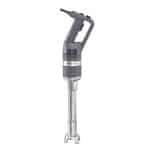 Many planetary mixers have a power takeoff hub that can be used to attach other food preparation accessories, such as a meat grinder or vegetable shredder for making stuffed bread rolls. A dough mixer is a specialized type of food mixer that is designed primarily to prepare dense, heavy mixtures, such as bread and pizza doughs. Unlike planetary mixers, dough mixers have a stationary shaft and a moving bowl that goes around the fixed agitator. The movement of the bowl allows for a more uniform distribution of the heavy dough. Dough mixers typically only have one type of agitator: a spiral-shaped or S-shaped dough hook that folds in dough more gently than whisks or flat beaters. Some models include C-shaped or J-shaped hooks that let you add more ingredients without agitating the dough too much. Manual dough rolling uses up a lot of muscle power and is expensive in terms of labor. Not only that, there’s also the risk of having dough coming out rolled into uneven thicknesses and textures. 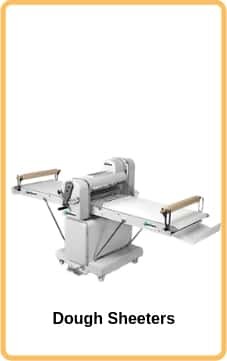 A dough sheeter takes care of all these problems as it creates smooth, uniformly rolled dough within minutes. Dough sheeters have rollers that flatten the dough to the desired thickness. Some dough sheeters are one-stage models, where the dough is passed over a single roller for flattening. Other units have two rollers to provide a more thorough rolling. There are also reversible dough sheeters, where you can put the dough on a conveyor and move it through a set of rollers back and forth until you have achieved the desired thickness and consistency. Some dough sheeters let you adjust the thickness of the rolled dough by widening or narrowing the gap between rollers. 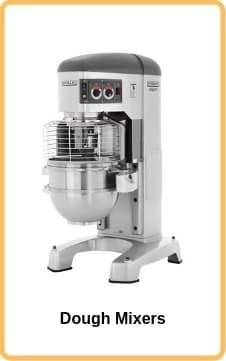 Other high-end models have features that allow for automatic flour dusting to prevent sticky, wet doughs, such as those used for ciabatta, from sticking to the rollers. Some even have the option of providing cutting attachments that quickly cut the dough to your desired shape, such as donuts, croissants, and themed cookies. Dough sheeters are useful for making dough for pie crusts, flatbreads, and croissants. You can also make cake fondant using a dough sheeter as it eliminates all the kinks and folds that will inevitably show up on your finished product. These work much, much faster than manual labor and opens up your time to work on other kitchen tasks while reducing the damage done to the gluten. A dough divider is used to cut large volumes of dough at a time, effectively reducing the time you need to cut dough from half an hour to a few minutes. 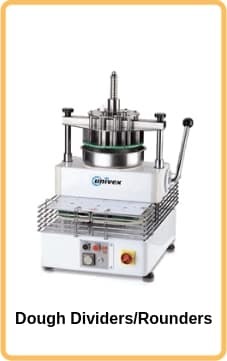 Dough dividers have a large press equipped with blades at the head of the machine. You simply place a piece of flattened dough on a reel plate that is inserted under the head and push down a hydraulic or mechanical lever that presses the blades to the dough. This creates equally cut small pieces of dough almost ready for baking. Most dough dividers come with a built-in rounder that automatically forms the small pieces of dough into little round shapes. Specialty units can also turn them into squares, hexagons, or other shapes. Generally, divider/rounder units work by creating an oscillating motion that rapidly shapes the divided dough into small balls. You can control the amount of pressure and length of time of rounding to control the size of the rounded dough. Breads, donuts, and croissants need to rise before they are put in the oven for baking. For this process, you’ll need proofing cabinets, which create the ideal environment for yeast to thrive and allow the dough to rise properly after it has been worked into its final shape. 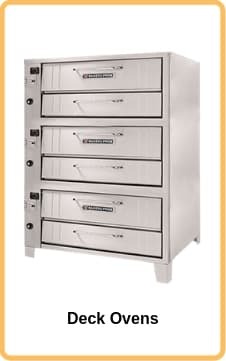 Yeast cells start to die off at 140°F and grow less below 68° F. Proofing cabinets are designed to maintain temperatures between 75° F to 85° F, which is ideal for allowing dough to rise properly. They also often have a water pan or a steam injection system, which is used to maintain a humidity level of 85%. The presence of water vapor in the air delays the cooking of the crust so that the dough can rise fully. Bread slicers provide a fast, easy, and practical way to cut loaves of bread into several slices in a single swoop. 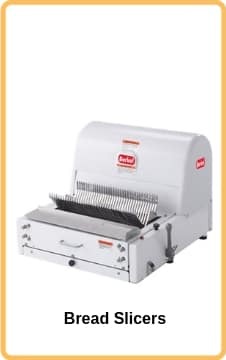 Commercial slicers typically have sharp blades spaced out at standard dimensions. A lever on the side lets you lower the blades to the loaf, cutting it into equal sizes that can then be packed into a bread bag. Bakery bread slicers can cut anywhere from a few to several hundred loaves an hour. Some units are equipped with bread baggers so you can easily pack the sliced loaves into bags to maintain their freshness. Bread slicers also come with crumb trays that collect crumbs for easy cleaning. 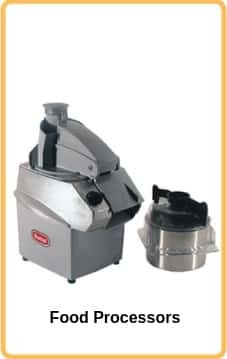 Food processors are essential for preparing large quantities of ingredients, such as ground meat and chopped vegetables for bread stuffing or pureed fruits for pie and tart fillings. With the right attachment, food processors can perform practically any preparation task, from making julienne cuts to crimping, pulping, and even preparing small batches of pie and pastry dough. 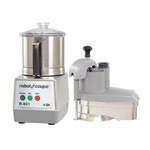 Food processors come in batch bowl or continuous feed configurations. Batch bowl processors have a built-in bowl that supports a shaft where the blade or disc is attached to cut the food to the desired shape. The bowl can be easily removed to access the processed ingredients, thus requiring you to stop in the middle of operations. For large-scale bakeries, using a continuous feed processor may be more productive since you don’t have to pause the food processor to retrieve the processed items. Instead, continuous feed units allow you to input food on one end while it dispenses processed food into a container at the other end. You need strong and sturdy tables to accomplish most of your baking tasks, from hand-rolling, kneading, and cutting dough to slicing, peeling, and chopping ingredients and decorating your cakes, pastries, and other baked goods. Kitchen tables come with heavy-duty stainless steel legs to hold up against daily use and abuse. Most tables have stainless steel tops to provide extra space for food prep work. Unlike wood, which is prone to chips and scratches, stainless steel is corrosion-resistant and protects your food items from exposure to rust. It has a smooth, polished surface that is easy to clean and sanitize. Tables may also double as storage space with the addition of under-shelves, sliding drawers, and nesting racks that allow you to save space when the tables are not in use. You also have the option to use tables with lockable casters so you can easily wheel them around the workspace. Some tables have back-splash guards that protect the surrounding walls or equipment from food splatters. Oven racks are useful for holding large quantities of full-size and half-size sheet pans. Whether you need to put these in the refrigerator for cooling, in the proofing cabinet for proofing, or in the oven for baking, oven racks let you move and processes high volumes of food items at once. Oven racks are made of metal, typically stainless steel or aluminum, to provide sufficient stability for holding several sheet pans at a time. 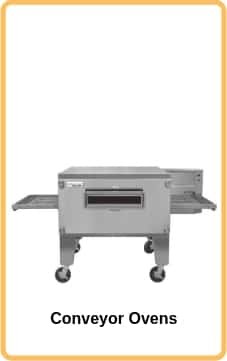 Many units have heat-resistant casters that let you roll them in and out of the oven with ease. You may also want to include oven rack covers, which are usually made of plastic or polyester, to protect the rack from dust. Plenty of bakery staples are best kept in dry storage. Dry goods, such as flour, sugar, and salt can be placed securely in ingredient bins, which can easily accommodate up to several hundred pounds of content. You’ll also need food boxes that can store crackers, grains, and dried beans. Transparent boxes with matching lids allow you to check on the quality of your food items without having to open them. To keep large boxes and bags of ingredients off the floor without taking up too much space, you can use dunnage racks with legs or casters. Display cases allow you to attract customers with mouthwatering displays of your food products while keeping the items at ideal holding temperatures. 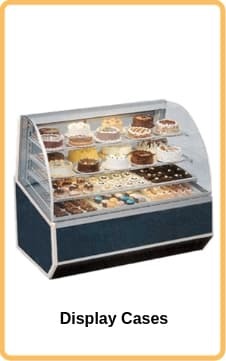 Bakery display cases can be refrigerated, non-refrigerated, or heated. Refrigerated cases hold food at cool temperatures, making them perfect for displaying frosted items, such as cakes and cupcakes. These have low-velocity cooling systems to keep delicate cakes and baked goods from drying out. Breads and bagels, on the other hand, hold up just right in non-refrigerated cases. The transparent glass or acrylic covers provide protection against dust, debris, or excess moisture in the air that could affect the quality of your products. Heated displays hold food items at high temperatures to keep them warm right up to the moment of serving. They typically have glass defoggers so that customers can see inside. When you need to move large bags and boxes of ingredients around the kitchen, having utility and delivery carts makes the job easier. 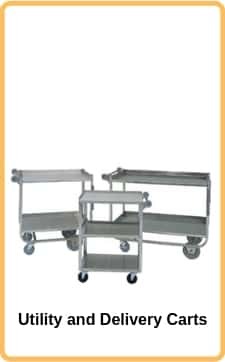 Kitchen carts are made with durable products and construction processes that allow them to carry hundreds of pounds of food items at a time. These usually have huge, heavy-duty casters that let you wheel them around as well as welded handles that you can expect to last for a long time. 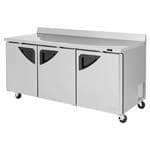 High-end units may also come with height-adjustable legs above the casters, which allow you to more easily transfer items from the cart to a tabletop height. Bakeries need at least three sinks, one for washing ingredients, a second for hand-washing, and a third for cleaning pans, bakeware, and small equipment. Commercial sinks can have one or multiple compartments. Small, one-compartment or two-compartment sinks are more suitable for food prep and hand-washing. Three-compartment sinks typically used for rinsing, washing, and sanitizing bakeware. 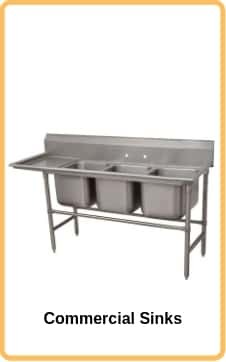 Commercial sinks are normally made of stainless steel, a strong and hygienic material that is perfect for use inside the kitchen. Look for 304 stainless steel, which is corrosion-resistant and will not rust as easily as other types of stainless steel. Another thing to consider is the thickness of the material. 18 gauge stainless steel sinks are the thickest and are best for areas with poor-quality, hard water. Pan liners are used to make it easier to release items such as breads and cookies from the pan. They also shorten cleaning time because they eliminate the need for hard scrubbing to remove grease from the pan. Some pan liners are designed for the specific pan size and shape, such as fluted loaf pan liners for baking breads and coffee cakes. However, the most commonly pan liner is parchment paper, a heat-proof and grease-resistant material that will not catch fire in the oven. 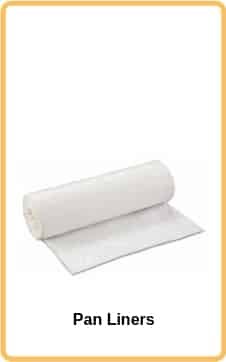 Parchment paper is different from waxed paper. The former is completely safe for oven use while the latter has a thin layer of wax on both sides. Wax is not oven-safe and will likely create smoke that will wreck the flavor of your baked goods. Bakery boxes are used for to-go orders of cakes, donuts, cupcakes, cookies, and all sorts of baked products. These are available in all sizes, colors, and themes and can be customized to include your logo and brand colors. They can go as big as to accommodate full sheet cakes of 18” x 26” and as small as to contain only one cookie or cupcake. If you’re offering full-size sheet cakes, your boxes must come with cake boards for extra stability to handle the bigger cakes. 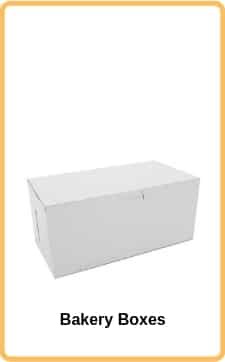 Bakery boxes can be one-piece or two-piece with lids that can be removed to help customers easily access the product. They may also have transparent plastic windows that let you display your baked goods and handles that make them convenient to carry. Recyclable paper bags are used to contain to-go orders of breads, cookies, and other small pastries. These come in all sizes, such as long, narrow bags for baguettes, larger ones for entire loaves, and smaller bags for a handful of cookies. The simplest, most affordable, and most flexible option is to use open-top brown bags, but you also have the choice to use paper bags with additional features. For instance, some bags have clear, plastic windows so that customers can look at what’s inside. Other bags can be re-closed using tin ties. 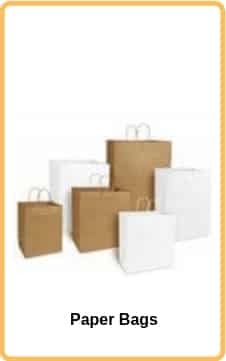 Some bags are also made of specialty paper, such as paper bags with micro-perforations for keeping hot products and letting off steam and moisture that could make a crispy crust soggy. Serving drinks can help keep customers stay longer and spend more. If you’re going to serve drinks, you will need ice makers for keeping your offerings cool and refreshing. For quick-serve and self-serve operations, you need to invest in an ice maker with a combined dispenser that allows staff or customers to get ice simply by pulling a lever or pushing a button. Also, consider the type of ice you want to serve. Full cube and half cube ice are very common, but ice makers can also create other types of ice, such as nugget ice, which has become a favorite among customers for its ability to retain the flavor of whatever it is cooling. 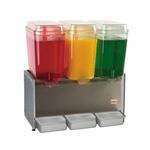 A drink dispenser is another useful piece of equipment to enhance your front-of-house service. This is used to dispense pre-made drinks, such as lemonade or ice tea. A refrigerated dispenser keeps your beverages cool without diluting the flavor with ice. Dispensers have a tank or several tanks to contain drinks. The tank is often clear glass or acrylic to let staff and customers know what’s inside. If you are going to serve multiple drinks, it is best to purchase a dispenser with multiple tanks. 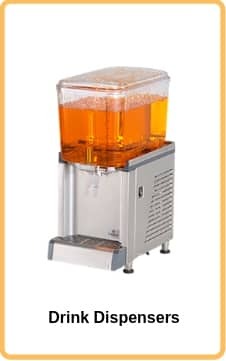 You may also want to look for a dispenser with an agitator to continuously stir the drink and prevent it from separating or turning into a slush. Coffee can also encourage customers to stay longer. Bakeries that serve coffee need standard coffee brewers for making regular black coffee and an espresso machine or two for making that thick, flavorful, and intense drink that is used for plenty of espresso-based drinks, from flat whites to lattes and cappuccinos. 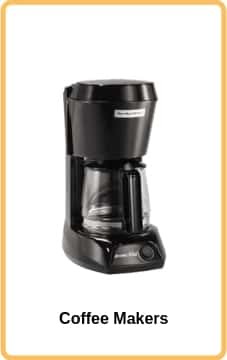 Of course, you also can’t go without a good grinder to grind your coffee beans right before they are loaded into the coffee maker. Look for flat burr grinders with circular burrs. These are more reliable than blade grinders and produce an even grind. 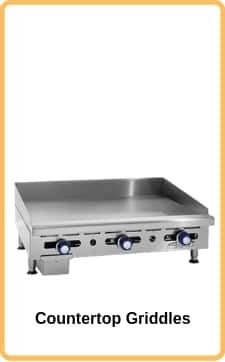 A panini press, also called a panini grill or a sandwich press, is essential if you’re going to serve sandwiches at your bakery. A key consideration when looking for a panini press is the plate material. Some plates are made of lightweight aluminum for light to medium-duty use. These heat up quickly and are more affordable. However, cast iron plates are more trustworthy when it comes to durability and heating consistency. Although cast iron plates are harder to clean and need a lot of maintenance in the long run to prevent corrosion, they are less likely to succumb to damage than aluminum plates. You may also want to look at the plate configuration of the panini press. Most plates are either smooth or grooved. Smooth plates are excellent at providing even cooking because the entire plate surface touches the food. Grooved plates, on the other hand, give you those good-looking grill marks that can make your sandwiches even more appealing. A griddle is a flat cooking surface for cooking eggs, pancakes, burger patties, or other flat items to go with your baked goods. Having a countertop griddle in your bakery can help you accomplish cooking tasks that are otherwise difficult to do using ovens, such as cooking bacon for a bacon loaf or making sunny-side-up eggs for a breakfast tart. Most griddles have a stainless steel plate where the food is cooked. A cooking surface with a chrome plating improves heat retention and prevents food from sticking, making it a breeze during cleanup. Also, consider the thickness of the plate. 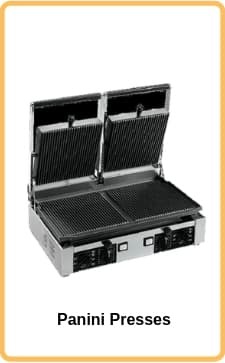 A griddle with a thicker plate heats up more slowly but retains heat more easily and produce more heating power for cooking a large number of items. If you’re cooking more delicate items, such as eggs, a thinner plate will more than suffice. Dishwashers are essential for ensuring that you are using clean, sanitized pans, pots, dishes, utensils, and bakeware. Unlike home dishwashers, which usually takes hours to complete a cycle, commercial dishwashers can clean a batch of items in a super-fast cycle that takes only a few minutes. 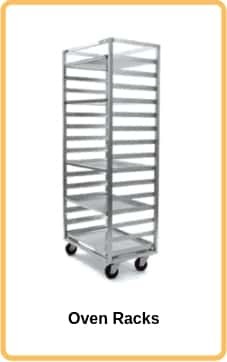 Bakeries need tall, high-capacity dishwashers, such as door type and conveyor type units, which can accommodate several full-size sheet pans in a single cycle.